Many homeowners choose to have their own swimming pool installed in their backyard. They believe that it is the most important feature that will effectively provide the best relaxing area of the house. 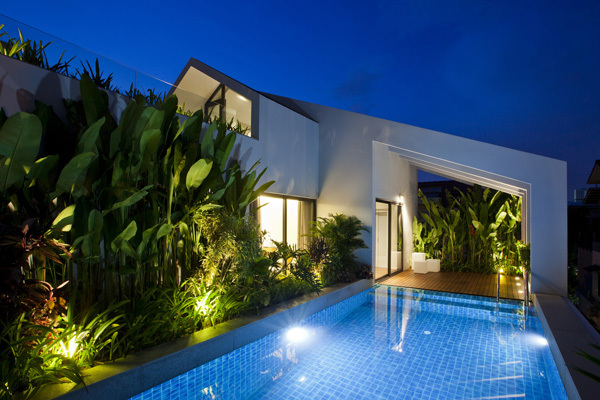 Indeed, the swimming pool plays the most significant functions in making one’s house comfortable and luxurious. Today, we will see the swimming pool in a house named NQ House and check how it effectively reveals its amazing functions. 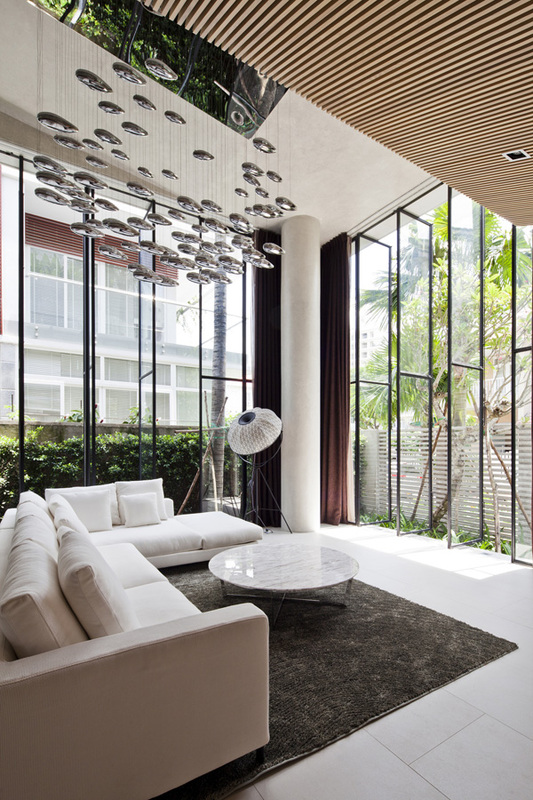 This house has an area of 141 square meters and this is specifically located in Ho Chi Minh City, Ho Chi Minh, Vietnam. 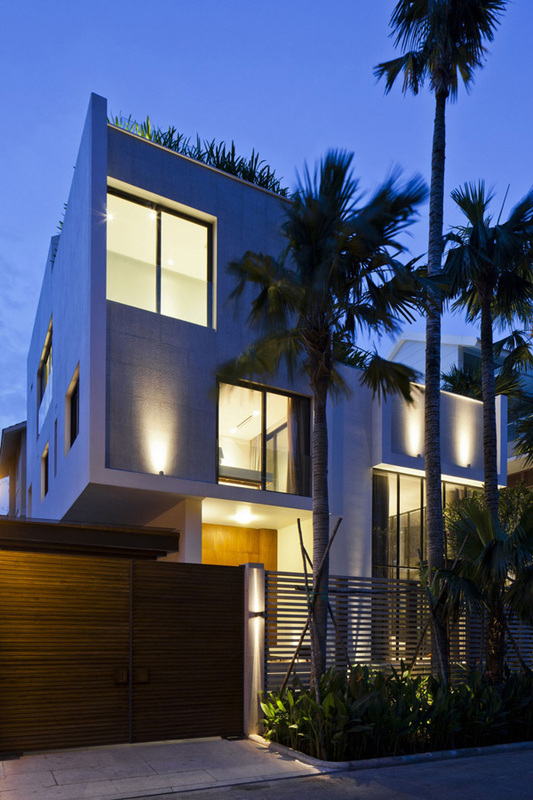 Amazing volume that consists of the different areas of the house enhances the design and layout of the house building. The location of the swimming pool is also one of the best features of the house that truly captivates the client and its guests. Let us see the different details of the house through the images below. 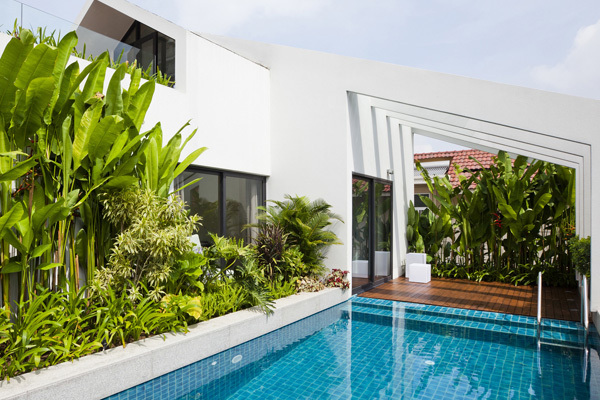 The swimming pool situated in the top floor reveals its luxurious and sustainable features. We may carefully see the geometric designs and forms of the house building here. 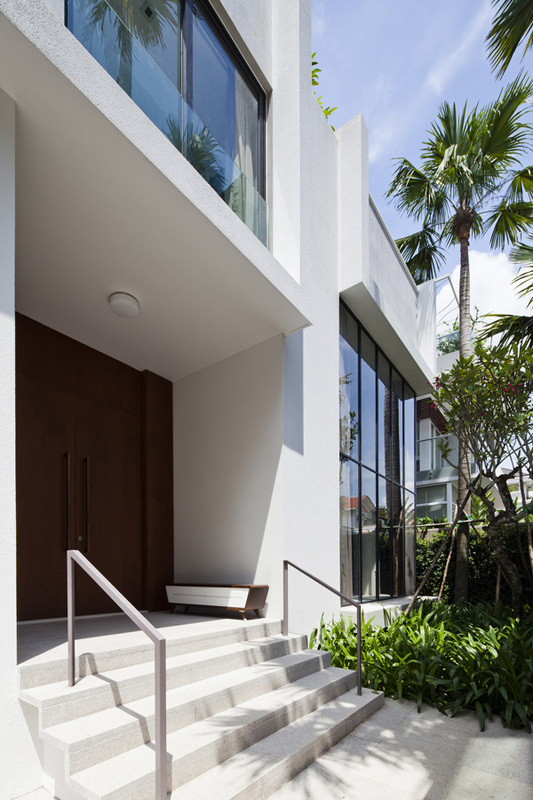 Smooth pavement and staircase is provided in this flawless and neat entrance of the house. 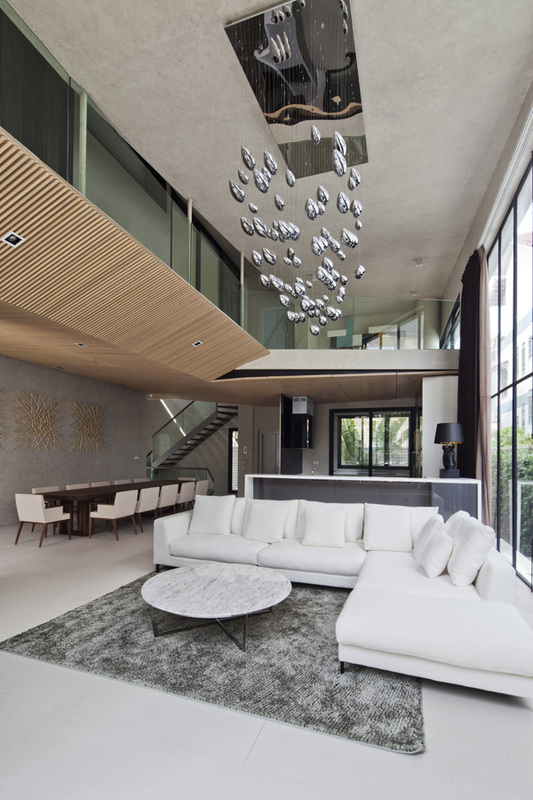 Modern and unique lamps in the living space feature the most elegant space in the interior. Soft and white sofa set arranged religiously in this area that is also accessed by natural sunlight. 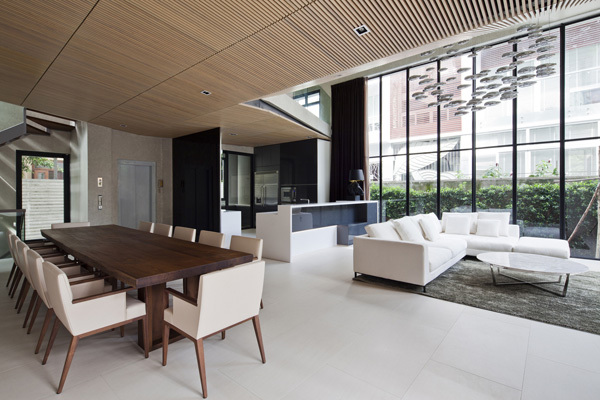 Lines and patterns are viewed from its ceilings down to the furniture and walls here. 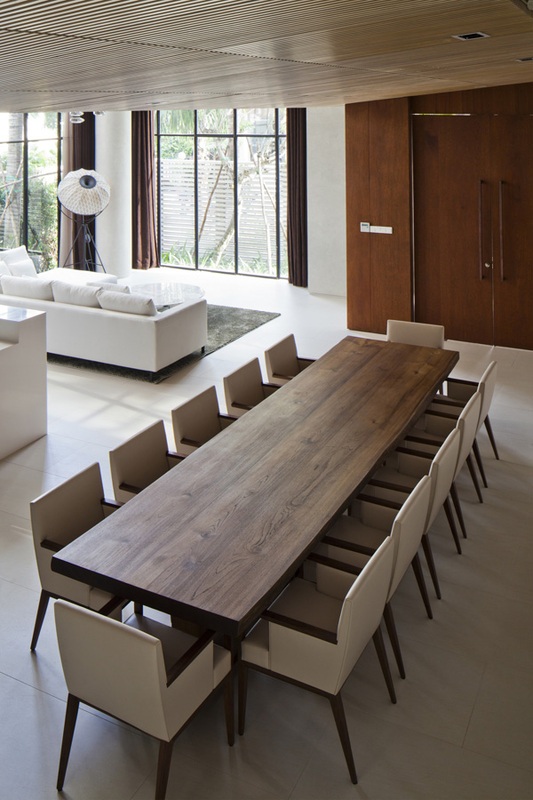 Rectangular shape of the table complements with the trendy design of these chairs. 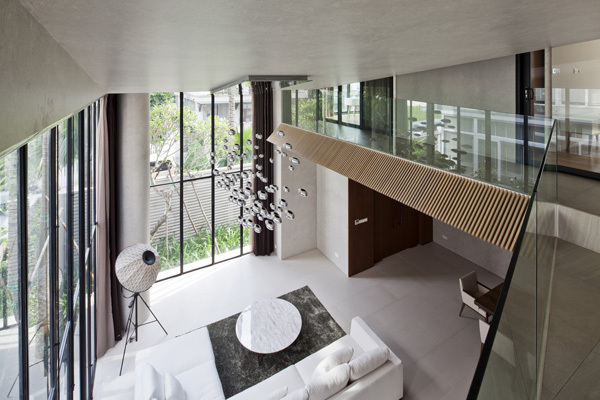 From the second level of the house, the client may also access the living space as well as the exterior. Here’s the white themed bedroom that is accessible to the exterior through its floor-to-ceiling walls and opened glassed doors. 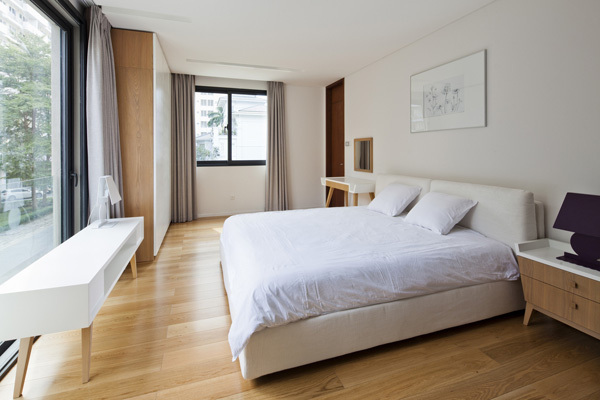 Here is another white bedroom that shows it comfort and classy design. At night these bedroom explains the importance of the lighting system to maintain its elegance. 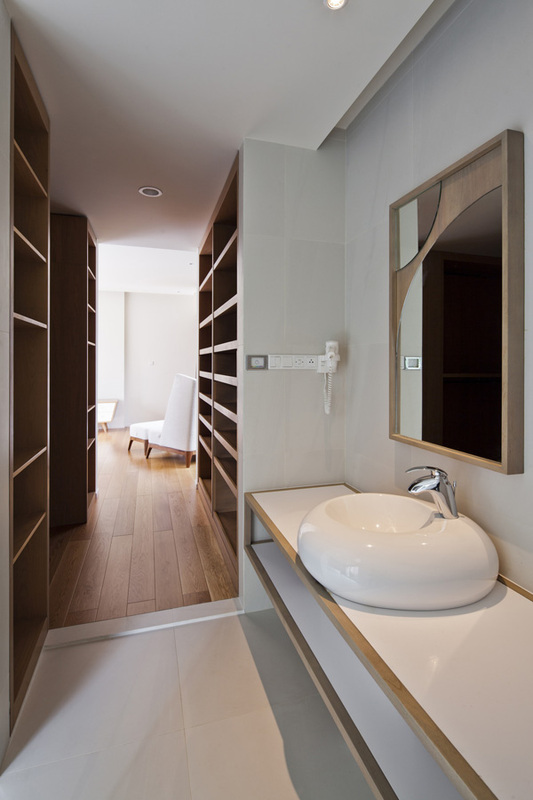 Trendy fixture blended well with this modern themed and extraordinary bathroom here. 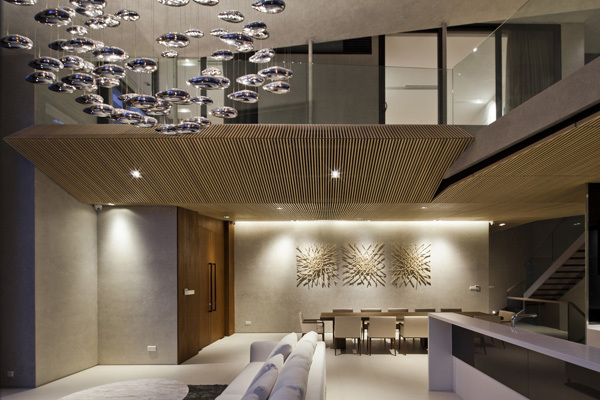 At night, the lighting system utilized in this living space effectively highlighted its exceptional design. In the morning, this swimming pool can actively access the natural light that may reduce the energy consumption in the house. When dark comes, the LED lights installed in every corner of these pool area reveals its luxurious feature. Modern lighting system applied in every corner of the house especially in the entrance area surprisingly displays its great ambiance. 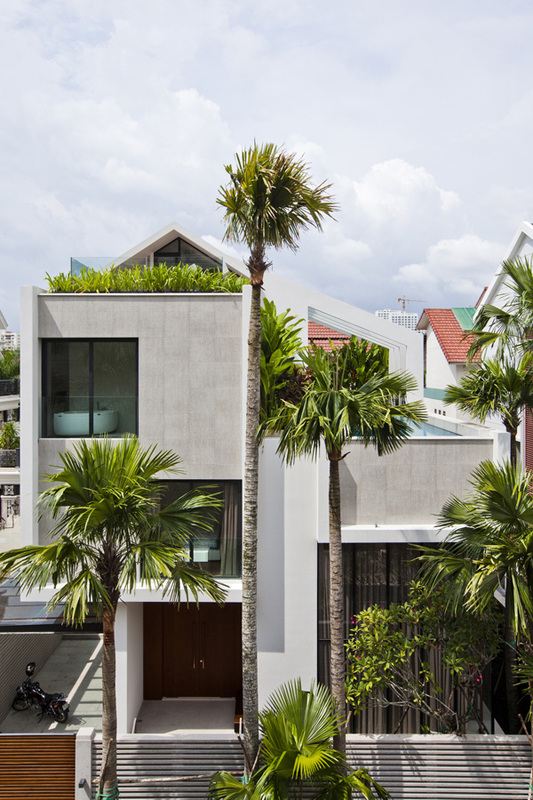 As we have carefully examined the different amazing areas of the house, we have discovered how the Nha Dan Architect unveils creativity and modern concept that they used. 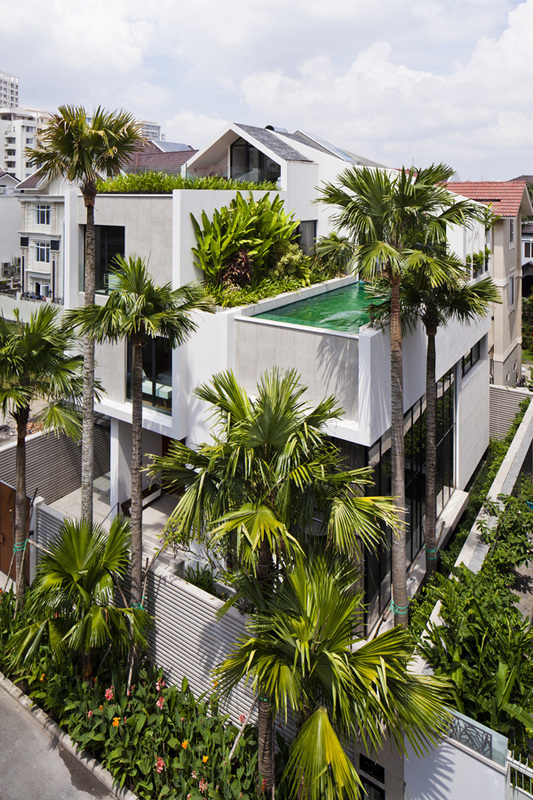 The homeowners also admired the elevated swimming pool that is also sustainable. Definitely as we have seen the above images we can say that the client will be satisfied and happy with the modern designs of their house. We hope that you also find interesting details that may inspire you to apply in your house, too.